Manufacture Cable Clamp to drawing number 3EER 200011-939. 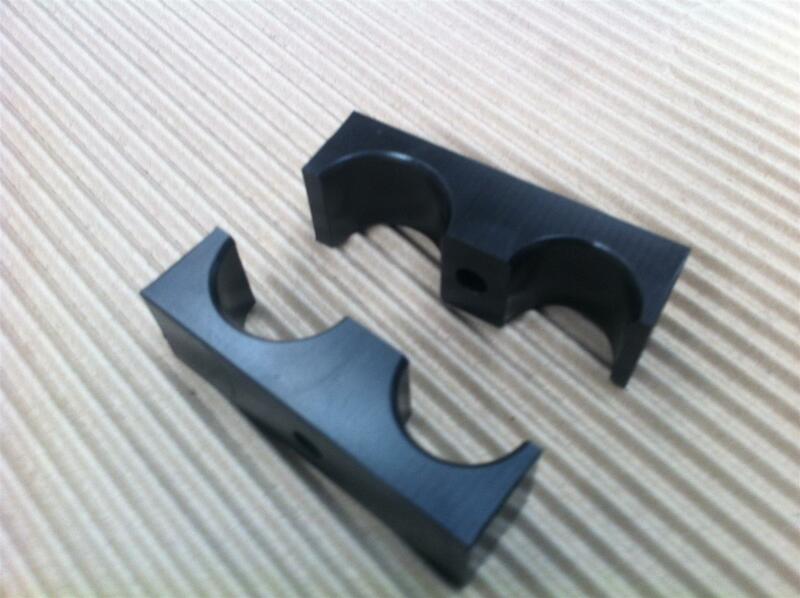 Manufacture from Nylon 66 (Black). All sharp edges to be deburred. Approx. size: 96mm x 52mm x 30mm. 1 cable entry hole 35mm, 1 cable entry hole 30mm. 52mm centres. 9mm through hole to clamp together.